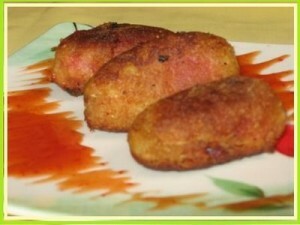 Fish Cutlets recipe by SumeraNawed at DesiRecipes.com. Mix all the ingredients along with the paste. Add two tablespoons of oil to the above and mix well. Make cutlets of however shape you want and coat it with bread crumbs. Heat oil well in a frying pan and fry till the cutlets are brown.